I'm ready for cooler weather. How about you? I love these early days of fall when mornings are crisp and afternoons bring bright sunshine. Its time to start cozying up our homes, creating a sense of warmth and comfort. The place I like to be the coziest? Our bedroom. I didn't want to do too much in here, just bring in more textures and warmer colours. 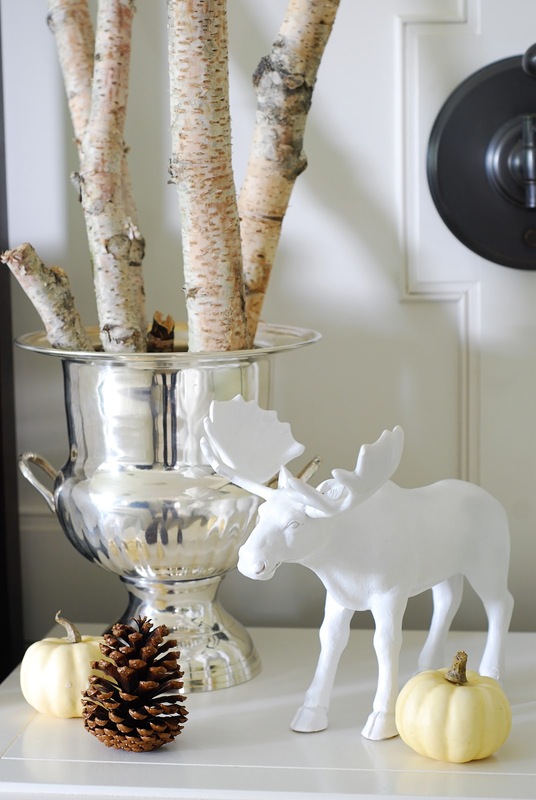 The silver urn is from HomeSense as is the white moose. He had a bit of an accident with a broken antler, but nothing a bit of Crazy Glue and Dap couldn't fix. I brought the birch branches home from the cottage. The pumpkins are faux but the pinecone is real. Mother Nature makes the best accessories, doesn't she? It's not quite time to pull out the duvet so I've kept the quilt on the bed with a top sheet beneath. 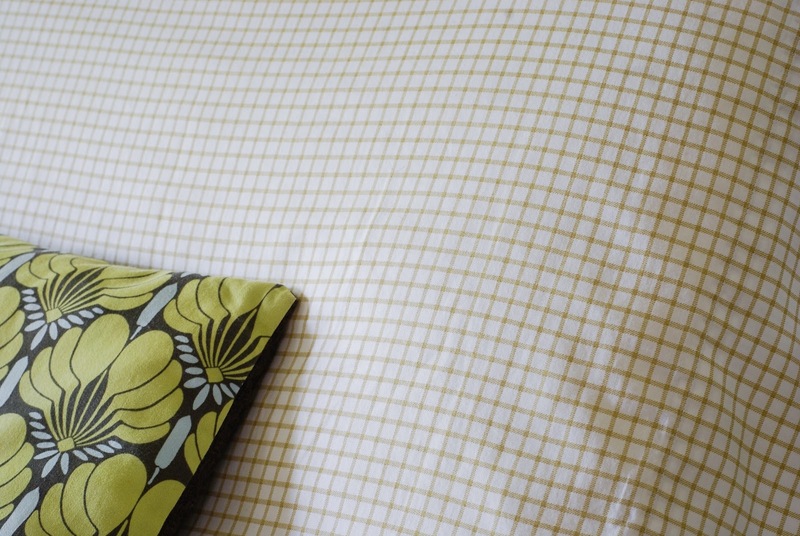 These are my favourite bedsheets, a simple check pattern by Ralph Lauren. The small pillow is from etsy. Another favourite: the antique wool military blanket I bought at the Christie Antique show last year. 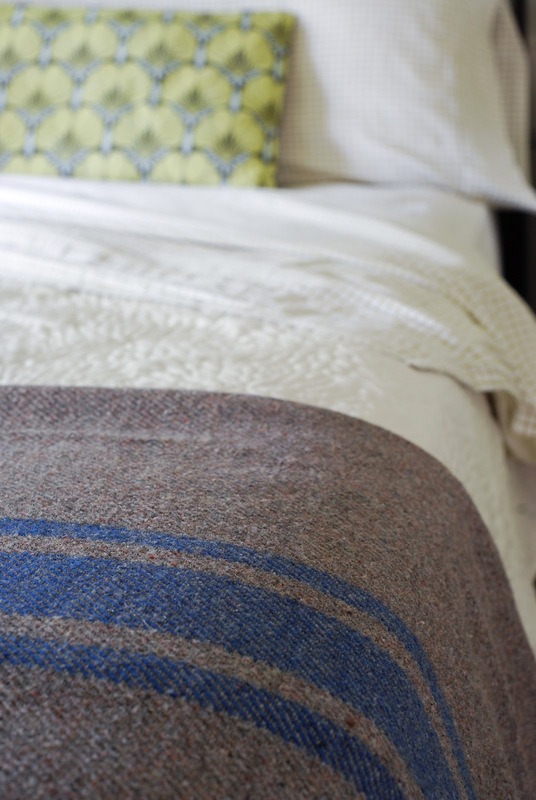 I like the rough texture it adds at the foot of the bed (but it really is the softest wool). Have you been warming up your home? Are you fan of cooler weather? 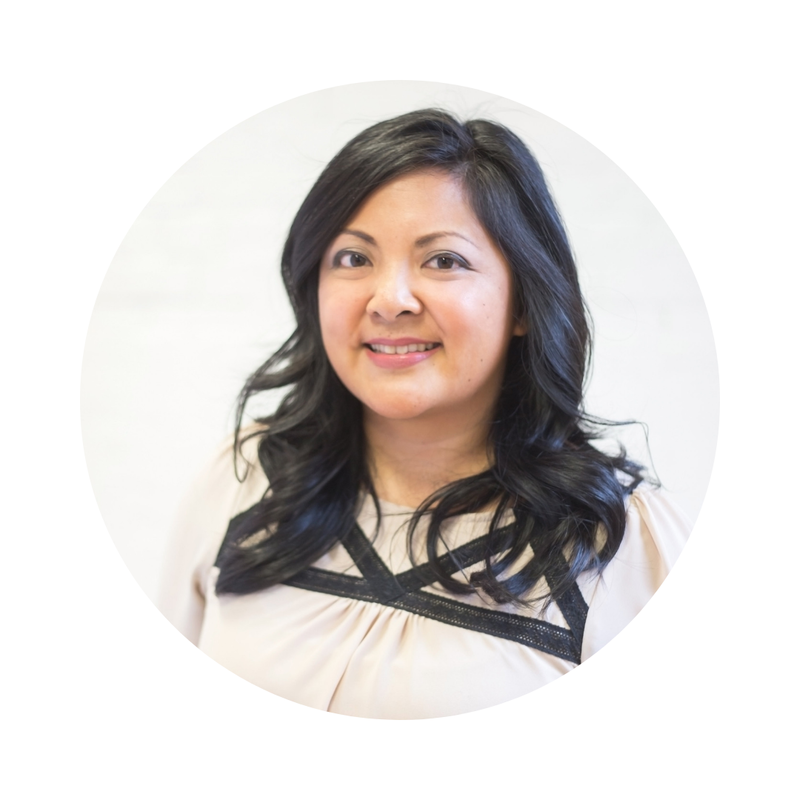 I love adding layers and easing into Fall. Visiting via Crafty Scrappy Happy! I love your cozy touches, especially the birch branches. So rustic and elegant at the same time. Love the mix of the birch branches in the silver urn. So pretty. So so simple and beautiful! That is my kind of Fall decorating! Love it! With the wool blanket, on the bed looks very warm and cozy. I was just at HomeSense and i saw the same white moose! Looks great on your bed side table. I am a big fan of bringing in simple touches for the season. I love the branches from the cottage. Great juxtaposition with the silver urn. Cozy....I pulled out the winter duvet but it has been tooooo hot still at night. Gee...in JUne it was cold and now September, record highs! So it still feels like summer. I am looking for a military blanket for my son's room and I think I need the striped throw from Ikea for my room! i love your bedside vigntte, I agree with easing into the season too, my living room pillows have now transitioned from summer yellows, to oranges and black (Halloween is big in our home). Also the throws are on the chairs already. I love throws on chairs! So nice to curl up with them and a steaming a cup of tea. Ah - I almost bought that Moose as well, but I'm on a sort of spending freeze so i had to leave him behind. I love the silver urn - was that a recent find, or somehing you've had for a while? Your bedroom looks lovely a cozy. I actually received the urn when I went to preview the HomeSense Fall/Holiday collection in July (post coming on that soon!). The collection is just starting to appear in stores now so its a good time to keep an eye out for it. They have tons of lovely stuff coming into the stores. Come to think of it, I need to put myself on a spending freeze! 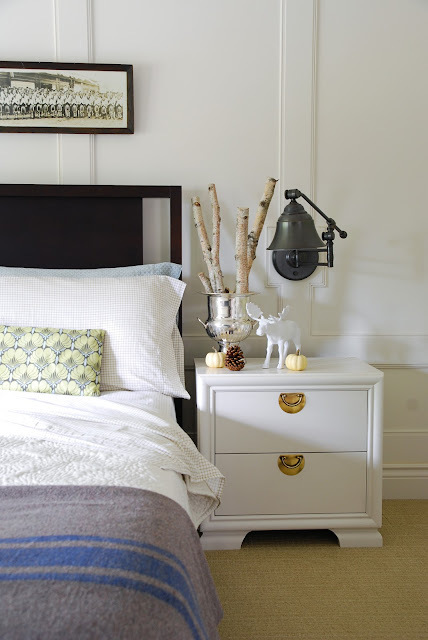 can't decide which is my favourite part - branches, blanket, moose - lovely! So cute. I love the little moose. 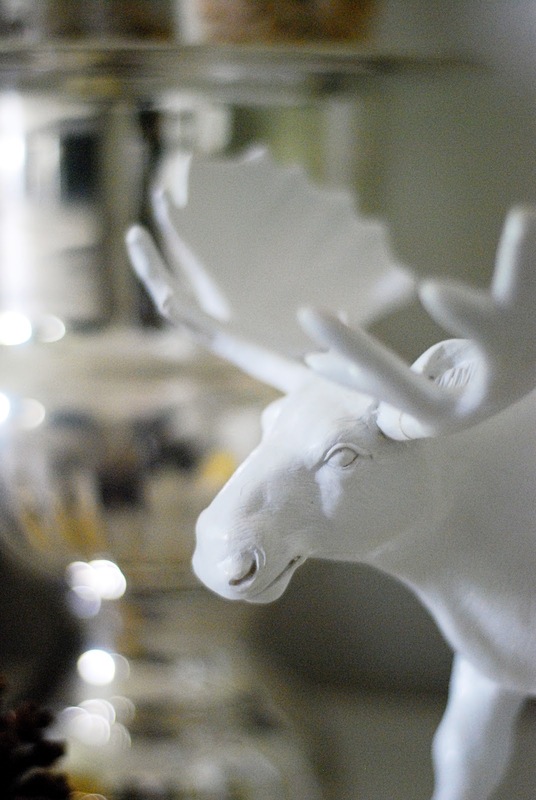 I saw a moose bust at HomeSense a few weeks ago and was too cheap to buy it....I wish I had though. And you know how HomeSense is....it wasn't there when I went back to get it. Too bad. 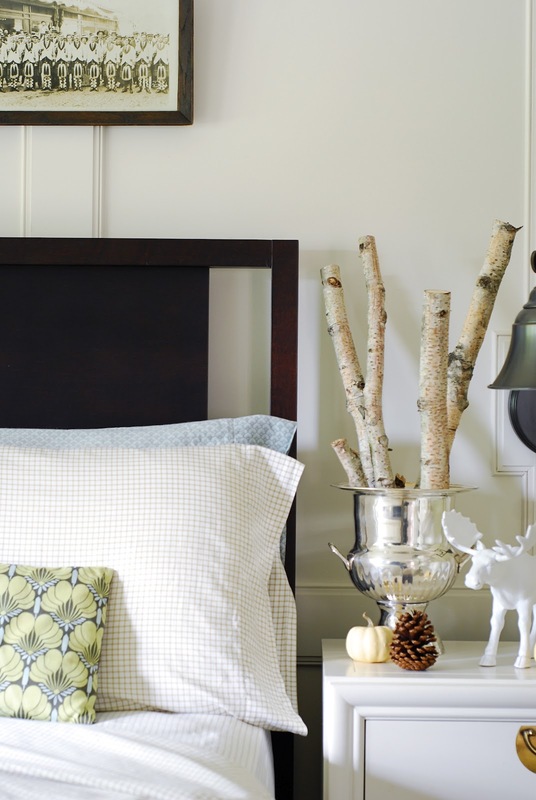 The birch branches are a great idea. I've made that mistake too. 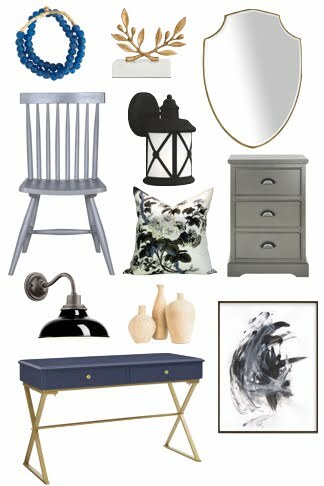 Better to buy the HomeSense find when you see it! I love this time of your year. It makes for great sleeping! Your bedroom looks amazing. I love the branches. It does! I sleep more soundly when its really cold. I like that you rescued that moose from his antler mishap :) The birch is lovely too! I broke him when I put the bag on the floor after I got home from shopping. Oops! He was well worth saving. Love your room - (love the hardware on the bedside table!) - I must make my cozy, too!